Just a bit of quick news for World of Warcraft players: the Battle for Azeroth pre-patch will arrive next week. 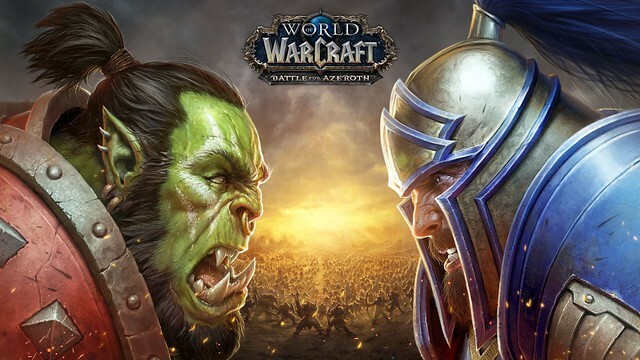 Blizzard announced today a World of Warcraft: Battle for Azeroth pre-patch will release on Tuesday, July 17 or Wednesday, July 18 depending upon region. To help players prepare for the pre-expansion update, the studio has released a “Survival Guide” video providing an overview of what’s to come. There are a variety of features and system changes included in the pre-patch. Each lays the groundwork for the expansion. There is so much I need to do before BoA that I can't even be bothered any more. Achievements to get, artifact appearances I couldn't farm that will be deprecated. In fact the last probably pissed me off the most. I never was able to farm all the Mage Tower events for the artifact appearances or get the PvP appearances despite my best effort (hundreds of attempts at the "Hulk-bear" for the druid). The grind broke me enough I didn't even want to look at WoW for the last few months. I know I'm not the best player in the world but in the past almost everything has been available to back-farm. You could level up to the new iLevel and level cap and roflstomp older content at your own pace. WoW in the last two expansions has seemingly gone out of it's way to not only dramatically increase the number of items it deprecates when it moves on to the next expansion, making them unavailable (in this case there are easily dozens of items that will no longer be available once BoA comes up) but with their new level scaling they've also removed the ability to back-farm most areas below Cataclysm for pets, trinkets, cosmetics, titles, mounts, and other stuff. This is especially true of Raid content. This sort of leisurely back farming constituted a lot of my post-max level activities. It's worse than being demoralizing knowing you've basically got nothing but Looking For Group or 6 year solo old content to keep you busy. It's BORING. And boredom is something a game relying on a monthly subscription should fear more than anything else. I went and thought about how little I play, how much time I've spent in the game, and how unhappy I am with the new direction they've taken the game. Finally pulled the trigger on cancelling my account. It's been active pretty much since launch. Feel a little melancholy but I don't think this is the game for me any more. Damn, that's a LOT of monthly subscription fees for one game. Sounds like you got you money's worth. PvP focused. Tab targeting. Game play that to this day makes tera online feel next gen in terms of combat. Total lack of feeling of feed back. You hit something hey have some numbers that pop up. God just let this game die so they'll get off their asses and make a next gen game please everybody. Clicking "Unsubscribe" or "Delete Character" is hard to do at first, what with Loss Aversion kicking in asking you about all that time and energy you invested, but you feel better after a day or two of being free of the yoke. Until you sign up for the next game, that is. I enjoyed Legion; it is my favorite expansion so far. I really don't think BoA will be as bad as WoD, but I also fear it will not reach the level that Legion has set. I have a couple weeks left on my current sub. which I will use to test out the pre-patch to determine if I will renew or not. They literally changed the world PvP mechanic to what EverQuest was doing 20 years ago. In the PvP focused expansion. Cool story bro. Lemme know when WC4 hits; I'll be in HotS/HS till then. Also where's that Classic server? I'm still playing WoW for free in other places till I see that.